Using an Athlete Centric Training System provides triathlon sessions tailored to your season goals and individual progress throughout the season. As no two triathletes are the same, or targeting the same performance goals, your individual performance profile is a key coaching tool for optimising your training. Fiona creates your annual plan after a face to face consultation, forming the foundation of your season’s work and peaking you for the right races. Regular performance testing throughout the season provides feedback on speed, endurance and efficiency progress for swimming, cycling and running. Functional strength and conditioning is built in, using a leading online triathlon specific program. Discount on Triathlon Europe Group Training – Swim Smooth Squad, Running Technique Program and Interval Cycling sessions and 1-2-1 video analysis. Please contact Fiona with your requirements, some background information and your goals for next season. Link to ‘contact us’ page with open ended question boxes. You want / need more? Championship Coaching Arrangement, by application. Limited places each season. Minimum 6 month commitment to this level of coaching. Some athletes want a training plan, some think having a plan is like having a coach, without the accountability and feedback. We can help you with that too. Choose a plan based on your performance profile, you can work through an Athlete Centric Training System on your own and get gains on more of a DIY approach! Suitable for super experienced or independent athletes who like a bit of structure to follow and understand their recovery limiters. Head over to Triathlon Europe for a 12 week training plan. Champions are made in the Winter, the work starts right here, right now! Fi delivers intelligent progressions that make sense – rather than random beastings that leave you on the brink of injury. On the back of a good performance at Ironman Copenhagen in 2014, Fi tailored my training plan to focus on my weaknesses – namely the run. But she didn’t forget my strengths either, instead working on bullet-proofing my swim and my bike with added extra skills. 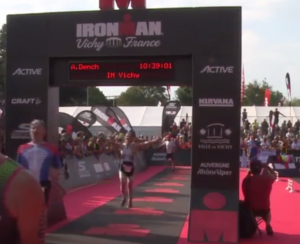 I used everything in a very tough Ironman Vichy – including the backflip move that allowed me to fly across the back of another swimmer to find clear water and cooling tips for the 32C marathon. 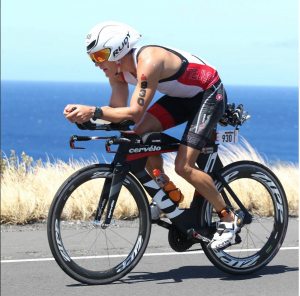 Despite the challenges I knocked 20 minutes off my last Ironman time – seventh in my age group and 27th woman. Three years ago I set myself the goals of qualifying for the GB age group squad at Olympic distance for both the European and World Championships and then for the Ironman World Championships in Kona – these were lifetime ambitions and dreams. For the previous 15 years I had been self coached and was training 15 to 20 hours a week and would often suffer illness and injury. I decided to find a coach and the first coach I worked with was egocentric and only interested in telling me how lucky I was to have him as a coach. The relationship rapidly deteriorated and following a recommendation I contacted Fiona. With Fiona I really felt that her focus was on helping me achieve my goals and her own track record as a successful athlete gave me significant confidence. I also liked her holistic approach that encompassed training, nutrition, strength and conditioning, race psychology and lifestyle considerations, such as work and family commitments, as well. As a self-confessed sports science geek I also liked the fact that Fiona had a sports science background and was happy to discuss the more esoteric technical aspects of sports science. Working with Fiona she immediately halved my hours but increased the effectiveness of the hours I did train. I knocked over twenty five minutes off my Olympic distance time which was enough to qualify for both the World and European champs in Canada and Switzerland respectively. With one tick in the box we moved on to my Ironman dream and in my first attempt at qualification I secured my slot and have just returned from Kona having realised a dream I thought might take me a lifetime to achieve. I am now taking a year off triathlon to focus on the bike but will return to triathlon in 2018 to initiate a two year campaign to podium at the British National Champs at olympic distance. I am confident that with Fiona this is a realistic and achievable goal.